The only proven effective way to control glaucoma progression remains the reduction in intraocular pressure (IOP). Nowadays antiglaucoma drops and glaucoma laser therapy have been perfected to the extent that the majority of patients do not reach an anti-glaucoma operation. In cases where intraocular pressure can not be affected by drops and laser therapy, antiglaucoma surgery is used. The purpose of glaucoma operative treatment is to lower intraocular pressure, creating an alternative pathway for draining the eye’s eye fluid. Trabeculectomy is the most commonly used operative intervention used to lower intraocular pressure. During the operation, a small incision is made of the scleral inner layer, which is then covered with a lid on the outer layer. The result of the procedure is the formation of a small bulge, called a filtration pad, which provides the flow of the aqueous humor to the outer layers of the eye. The upper eyelid covers this filter cushion and is therefore not visible. The implantation of Ex-Press Shunt / is a new modern method for controlling intraocular pressure. In practice, the shunt is an advanced trabecclelectomy, with a metal tube being inserted at the incision site through which the coolant is drained. It is also covered by the outer layers of the sclera and remains invisible. 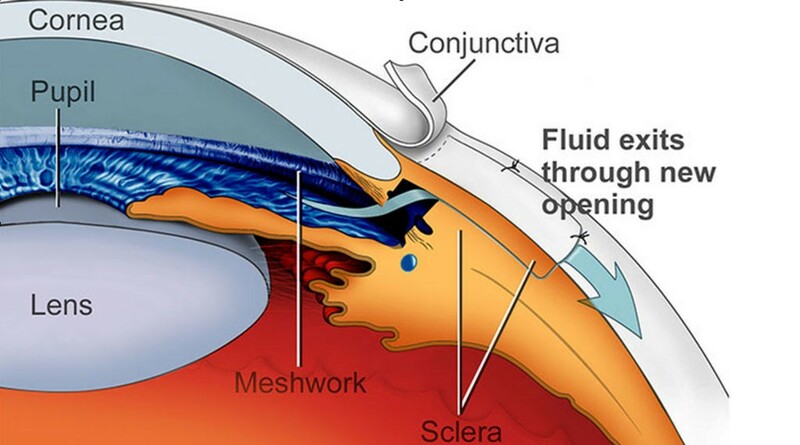 This method is safer because, unlike trabeculectomy, where the opening can become clogged, this can not happen here with the antiglaucoma shunt, and the effect is more lasting.